ISLAMABAD: The Senate on Wednesday recommended some 77 proposals to the National Assembly including the increase in petroleum development levy which may be restricted to an increase of 25 per cent over the existing rates, along with tax rates on individuals to be increased. The Senate of Pakistan recommends to the National Assembly that the increase in petroleum development levy as proposed in Clause 2 of the Finance Bill, 2018, may be restricted to an increase of 25 percent over the existing rates. The Senate of Pakistan recommends to the National Assembly that the penalties proposed in Clause 5, sub-clause (41) are too harsh which should be rationalized. The Senate of Pakistan recommends to the National Assembly that in Clause 5, sub-clause (25), in paragraph (ii), the Commissioner may not be allowed to reopen cases prior to ten years. The Senate of Pakistan recommends to the National Assembly that for the tax rates of individuals the slab of Rs12,00,000 to Rs24,00,000 the tax rate be increased to 10 per cent, slab for Rs24,00,000 to Rs48,00,000 the tax rate be increased to 15 per cent and the slab for Rs48,00,000 and above be increased by 25 per cent. The Senate of Pakistan recommends to the National Assembly that in order to protect the dairy sector tariff on import of Skimmed Milk Powder (SMP) should be increased from 45 per cent to 50 per cent. The Senate of Pakistan recommends to the National Assembly that in order to encourage the Fishery Sector exemption should be given on GST imposed on the import of “fish babies/seedlings” from 20 per cent to 5 per cent. The Senate of Pakistan recommends to the National Assembly that the regulatory duty on fish fillet and frozen fish should be increased from 45 per cent to 60 per cent. The Senate of Pakistan recommends to the National Assembly that concessions given on agricultural machinery during Budget 2016-17 under S.No.1 of 5th Schedule to the Customs Act, 1969, should be continued. The Senate of Pakistan recommends to the National Assembly that in order to encourage the use of solar energy, interest free loans should be introduced for the installation of Solar Tube wells for farmers owning up to 12 acres of land. The Senate of Pakistan recommends to the National Assembly that the membership of Chamber of Commerce and Industry should be made compulsory for all businessmen in order to become a filer and for the better of tax system a Central Business Data Record System should also be established. The Senate of Pakistan recommends to the National Assembly that improvements should be made in the tax software to make it easy and it should also be in Urdu language. The Senate of Pakistan recommends to the National Assembly that steps should be taken to introduce tax reforms for the promotion of industry in less developed areas. The Senate of Pakistan recommends to the National Assembly that steps should be taken with regard to obtaining Hilal Food Certificates which are international acceptable to encourage the export of Hilal Food. The Senate of Pakistan recommends to the National Assembly that steps should be taken for the encouragement of tax payers and first 5000 tax payers should be accorded status of VIP citizen and awards should be given to them in the national events. The Senate of Pakistan recommends to the National Assembly that the Government should adhere to and implement the provisions of Fiscal Responsibility and Debt Limitation Act, 2005, and take steps to reduce the debt which is increasing rather than decreasing and putting the entire nation under heavy debt. The Senate of Pakistan recommends to the National Assembly that Long term staggered program be devised for the development of FATA to eradicate sense of deprivation of its products and allocate sufficient budget for FATA i.e. two fold preferably. The Senate of Pakistan recommends to the National Assembly that a mechanism should be evolved to bring non-filers into tax net to increase the government revenue. The Senate of Pakistan recommends to the National Assembly that visible steps should be taken for expediting disposal of the matter regarding interest based economic system pending before the Federal Shariat Court. The Senate of Pakistan recommends to the National Assembly that advanced tax and sales tax imposed on mobile phone cards of Rs100 should be withdrawn. The Senate of Pakistan recommends to the National Assembly that the amount collected as tax on cigarettes should be spent in the health sector. The Senate of Pakistan recommends to the National Assembly that the additional custom duty of 1 per cent proposed to be imposed on industrial raw materials should be withdrawn. The Senate recommends to National Assembly of Pakistan that in order to accommodate the financial needs of the Industrialist NBP Branch be started working in Hattar Industrial Estate, KPK. The Senate recommends to National Assembly of Pakistan that the proposed import duty on Soybean Oil should be reduced even from the present value or it should remain as present. The Senate recommends to National Assembly of Pakistan that a new clause should be inserted in Part IV of the Second Schedule to the ITO, 2001, as follows: “(_) The provisions of section 153 shall not apply on futures contracts”. The Senate of Pakistan recommends to the National Assembly that the Session Allowance of Senate/Assembly employees should be de-frozen and restored at the rate of their running basic pays as it is not a regular allowance and only being given on a day to day basis for extended working hours before, during and after the sessions, and since it is granted only to employees of the Senate and National Assembly Secretariats in view of their long sitting hours and important work under short timelines. The Senate of Pakistan recommends to the National Assembly that proposed health levy of Rs10 per KG imposed on the sale of Tobacco Leaf should be withdrawn. The Senate of Pakistan recommends to the National Assembly that sales tax on the import of plant & machinery for setting up refinery plants in the under-developed Province of Baluchistan should be exempted. The Senate of Pakistan recommends to the National Assembly that sales tax exemption should be extended for dumpers and trucks used in the chromites and coal areas of Baluchistan. The Senate of Pakistan recommends to the National Assembly that Custom House should be established for custom gateway at district Zhob, Qamardin Karez. The Senate of Pakistan recommends to the National Assembly that branches of National Bank should be opened at custom gateway in district Qilla Saifullah, Badin and Musakhel. The Senate of Pakistan recommends to the National Assembly that the minimum stipends for all the interns should be fixed at Rs20 thousands. 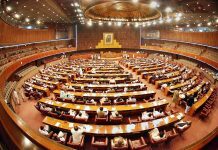 The Senate of Pakistan recommends to the National Assembly that sufficient funds should be allocated in order to waive off the agricultural loans of Rs2.75 billion granted to the poor farmers in pursuance of the unanimous Resolution No.289 dated 21-09-2016, passed by House of the Federation. The Senate of Pakistan recommends to the National Assembly that the purpose and outcomes/impact of NCHD should be clearly defined, post-devolution, in terms of primary/general education versus literacy and informal education and commensurate with the objectives and outcomes, the salary of the employees of the NCHD should also be increased by Rs16000 per month. The Senate of Pakistan recommends to the National Assembly that custom duty in custom tariff code 6001-9210 (Greige Blanket Fabric) which is at present equivalent to the custom duty of printed and finished Blanket should be rationalized as per principle of Cascading. The Senate of Pakistan recommends to the National Assembly that Custom duty in customs tariff code 8617.1219 (Mobile in CKD/SKD Condition) which is at present equivalent to the customs duty of Cellular mobile phones (CBU) should be suitably reduced. The Senate of Pakistan recommends to the National Assembly that regularity duty proposed to impose on CKD/SKD mobile kits should be rationalized. The Senate of Pakistan recommends to the National Assembly that senior post allowance announced in the federal budget for the year 2018-2019, may be extended from BS-19 to BS-22. The Senate of Pakistan recommends to the National Assembly that 10 per cent regulatory duty on synthetic, polyester, acrylic and viscose and blend spun yarn under Chapter 55 of the HS Codes should be imposed. The Senate of Pakistan recommends to the National Assembly that the adjustment of input on raw material should not be allowed and final tax should be collected at the import stage on potassium chlorate whereas 17 per cent sales tax along with additional tax (reasonable balancing amount) should be charged and also no adjustment of sales tax on other raw material be allowed and the final product i.e. match boxes should be exempted. The Senate of Pakistan recommends to the National Assembly that 11 per cent custom duty on import of MDF may be retained while 5 per cent RD imposed in the recent budget should be abolished. The Senate of Pakistan recommends to the National Assembly that the Federal Excise duty on domestic airline tickets should be reduced from Rs3600 to Rs1800. The Senate of Pakistan recommends to the National Assembly that the taxes and duties on hybrid and electric cars should be identical. The Senate of Pakistan recommends to the National Assembly of Pakistan that remaining amount required for the completion of the Makhi-Farsh Link Canal located in the lower Nara Region of Sindh may be allocated from the PSDP Program for the Financial Year 2018 so that the scheme can be completed. The Senate of Pakistan recommends to the National Assembly that the allocations in the PSDP for the Provinces should be placed before the Senate at-least two months before the finalization of the budget so that the Members of the Upper House may have an opportunity to fully participate in relation to the allocation of PSDP. The Senate of Pakistan recommends to the National Assembly that proposals may be invited for the perusal of the Upper House at-least three months before finalization of the budget for inclusion of schemes in the PSDP. The Senate of Pakistan recommends to the National Assembly that vocational institutes may be established under CPEC in Zhob, Quetta and Qila Saifullah. The Senate of Pakistan recommends to the National Assembly that Rs40 billion be allocated for FATA (PSDP No1102) instead of Rs24.5 billion. The Senate of Pakistan recommends to the National Assembly that at least Rs20 billion should be allocated for converting agricultural tube wells of Balochistan to solar energy. The Senate of Pakistan recommends to the National Assembly that funds should be allocated in the federal budget for mass transit projects in District Quetta. 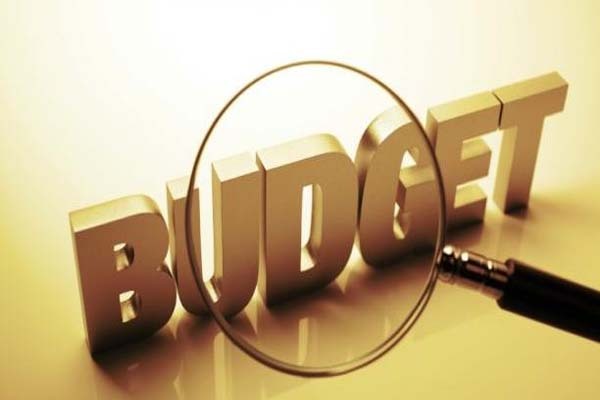 The Senate of Pakistan recommends to the National Assembly that budget allocation may be made for FY-2018-19 for installation of tube-wells on different places in Quetta. The Senate of Pakistan recommends to the National Assembly that CPEC Institute, Gwadar, should be approved immediately and maximum funds should be allocated. The Senate of Pakistan recommends to the National Assembly that a Stadium be established in Tehsil Patan – District Kohistan. The Senate of Pakistan recommends to the National Assembly that work on the Industrial Estate Gawadar with reference to its infrastructure and development may be completed on priority. The Senate of Pakistan recommends to the National Assembly that funds allocation of 365 million for PSDP 2018-19 for refurbishment of Senate Hall (201.5 million), and construction of Chairman Senate Residence (145.5 million) may be allocated. The Senate of Pakistan recommends to the National Assembly that funds should be allocated for a detailed mineral survey in Balochistan. The Senate of Pakistan recommends to the National Assembly that Relevant funds should be allocated in the present federal budget for laying of gas pipelines from Quetta to Khanozai, Muslim Bagh and Qilla Saifullah. The Senate of Pakistan recommends to the National Assembly that relevant funds should be allocated for laying of gas pipelines from Ziarat to Sanjavi, Daki and Loralai. The Senate of Pakistan recommends to the National Assembly that relevant funds should be allocated for laying of gas pipelines Aghberg union council in District Quetta. The Senate of Pakistan recommends to the National Assembly that relevant funds should be allocated for laying of gas pipelines from Pashin to Chamman. The Senate of Pakistan recommends to the National Assembly that comprehensive planning should be done and a fund should be allocated for beginning the work for exploration and evacuation of metallic minerals and coal in District Dakki, (Pashin, Qilla Saifullah, Zhob, Musakhel, Loralai, hernia, Qilla Abdullah) and Zhob Quetta Division in Balochistan province. The Senate of Pakistan recommends to the National Assembly that Rs100 million be approved to improve the existing infrastructure of Sui Gas and electrical lines in District Haripur. The Senate of Pakistan recommends to the National Assembly that conversion of existing 10,000 electrically operated tube wells in Balochistan to solar power 25 per cent be allocated and in 4 years this project should be completed. The Senate of Pakistan recommends to the National Assembly that Rs10 billion be allocated for renewal of electricity transmission lines in the province of Baluchistan. The Senate of Pakistan recommends to the National Assembly that electric feeder line be provided from district Qilla Saifullah to Loib and union council badini and Qamardin Karez. The Senate of Pakistan recommends to the National Assembly that allocation be made for establishing Grid Station in Balozai, Tehsil Khanozai, Maizaiada, Bostan, Marghakabzai, Abdul Rehmanzai, Sapera Ragha Draghi, Narai Dag, district Loralai, Margha, Faqeerzai, district Balochistan. 200 MW from Khost gas power plant at Harnai. 100 MW from each plant from all solar power plants at Pishin, Qilla Abdullah, Qilla Saifullah, Zhob and Musakhel. The Senate of Pakistan recommends to the National Assembly for electrification of villages in District Jafarabad, Balochistan. The Senate of Pakistan recommends to the National Assembly that allocation be made for the construction and installation of Hydle Power at Chapri on Kurram River Kurram Agency for approximately 12-MW. The Senate of Pakistan recommends to the National Assembly that a 132KV grid station be established in District Kohistan. The Senate of Pakistan recommends to the National Assembly that provision of electricity in Bhamala village Tehsil Khan Pur District Haripur be prioritized. 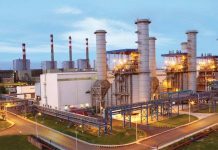 The Senate of Pakistan recommends to the National Assembly that the electricity supply system may be upgraded for Hattar Industrial Estate as it generates about Rs70 billion in taxes. New line from 132kv g/station Wadh to 33kv line Kalghaloo Saroona along with allied material 2x4MVa transformers with construction with an estimated cost of Rs165 million. (PSDP no.1063). The Senate of Pakistan recommends to the National Assembly that allocations be made for grid stations at Ahmedwal District Noshki (PSDP NO.1062), and at union council Kashingi District Noshki. The Senate of Pakistan recommends to the National Assembly that allocation be made for the provision of solar home system (KIT) for 7500 home in villages of district Noshki and Chaghi, Balochistan. The Senate of Pakistan recommends to the National Assembly that allocation be made for the provision of solar generated electricity for Civil Hospital Dalbandin district, Chaghi. The Senate of Pakistan recommends to the National Assembly that allocation of Rs4 million be made for the solar electricity for civil hospital district Noshki.